Ofcom has set out new guidelines for the UK's ISPs, indicating that they must be clearer about the realistic web speeds that customers can expect from their services. Most ISPs make a big song and dance about offering "up to" ever-higher broadband speeds but Ofcom now wants them to publicise more detail. This includes information on the average, everyday web speeds customers can expect and traffic management measures they might be subject to (like slower download speeds during peak times). Ofcom also wants ISPs to make it clear to customers where services have been blocked. The new guidelines are all in the interest of ISP self-regulation – Ofcom hopes that all the major UK players will use its guidelines to provide clear, jargon-free information to British consumers, but if not, it will have to set out "detailed information requirements" in a more formal manner. Ofcom Chief Executive Ed Richards said: "The internet plays an important role in the lives of citizens, consumers and industry. We now expect and depend on access to the content and services it has to offer. "How ISPs control access to the internet affects us all and it is important that we are able to understand how our access might be restricted. 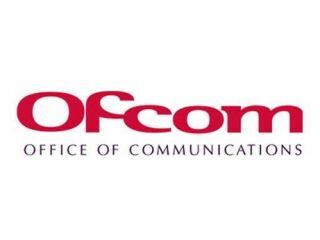 Ofcom is now looking to the ISPs to ensure that transparent information is available, and will consider intervening if it does not see improvements". Ofcom is also considering a minimum service quality standard for web provision, which it believes will protect online innovation; however it has no firm plans in place for this at present. In a recent TechRadar poll in which 3,740 of our readers voted, just 34 per cent were happy with their current broadband speeds.